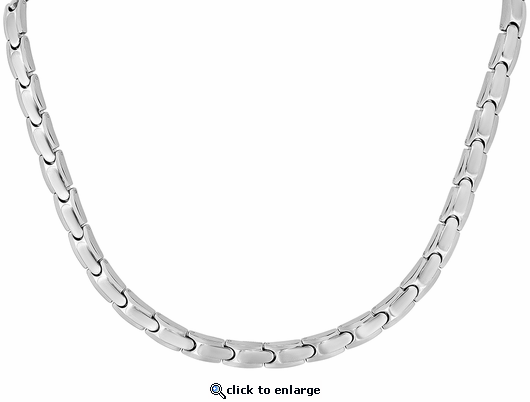 This stainless steel magnetic therapy necklace has a wonderful design. Styled in shiny and brushed silver, this hard to find magnetic necklace has a powerful & permanent 3300 gauss neodymium rare earth north facing magnet in each link. Great products. Thank you for the complimentary gift. I look forward to doing business with you in the future.